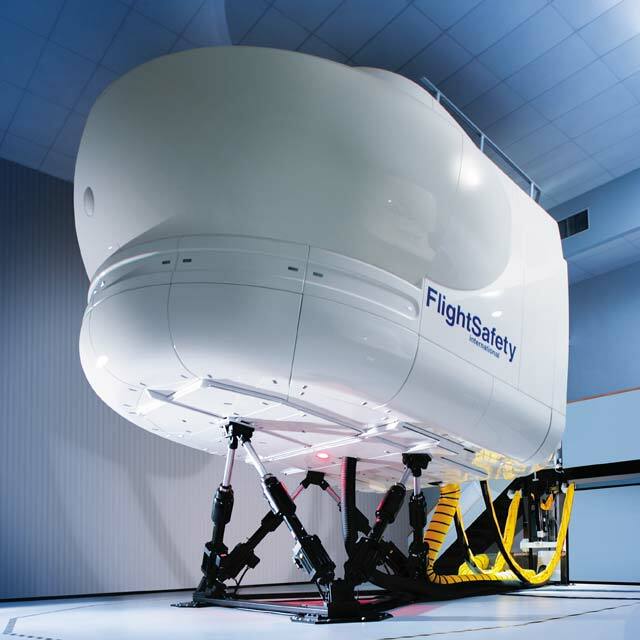 FlightSafety offers comprehensive, professional training on all models of the Dassault Falcon 900. Our highly qualified and experienced instructors, advanced-technology flight simulators and integrated training systems help ensure proficiency and safety. We provide pilot training for the Falcon 900 at our Learning Centers in Paris-Le Bourget, France, and Wilmington, Delaware, and maintenance training at our Learning Centers in Dallas, Texas; Paris-Le Bourget, France; and Wilmington, Delaware. *Ground school differences training only. Advance your career while enhancing safety and improving dispatch reliability with FlightSafety’s exclusive Master Technician training for the Falcon 900. Master Technicians are recognized throughout the industry as having achieved the pinnacle of training for their aircraft. Training courseware and training devices for the Falcon 900 were developed in conjunction with Dassault Falcon. eLearning CPDLC course is available for the Falcon 900. This FAA-approved course satisfies the training requirements of AC 120-70 (as amended) and meets the international standards set by the International Civil Aviation Organization (ICAO). Both of our Falcon 900 pilot Learning Centers are located next to Dassault Service Centers. We offer maintenance training at our Learning Centers in Dallas, Texas; Paris-Le Bourget, France; and Wilmington, Delaware. Paris-Le Bourget, France, and Wilmington, Delaware, operate dedicated Falcon 900B simulators. FlightSafety has been providing training on the Falcon 900B since it was brought into service in the early 1990s.